Executive and Board of Directors meet on the 1st Wednesday of each month, excluding July and August. Holding meetings respecting the theory and practice of horticulture. Encouraging the planting of trees, shrubs and flowers on public and private grounds. Promoting outdoor art, public beautification, balcony and plot gardening. Arranging field trips, contests, competitions and exhibitions related to horticulture and awarding prizes. 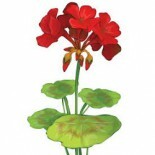 Distributing seeds, plants, bulbs, flowers, trees and shrubs. Interesting youth and others in the study of horticulture. Promoting the protection of the environment. Promoting the circulation of horticultural information through any medium. 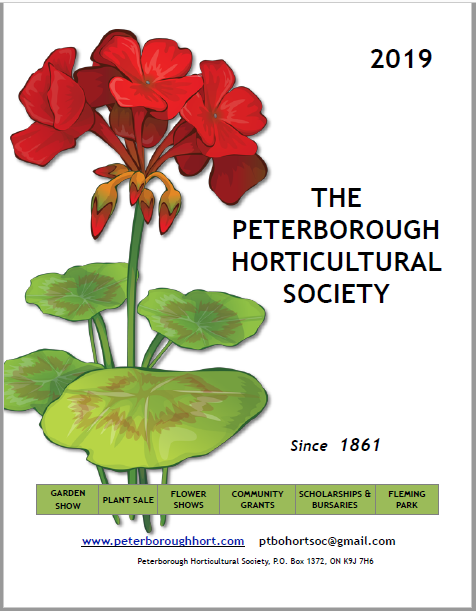 The Peterborough Horticultural Society will not expend more than half of its total annual receipts, other than grants or donations made for specific purposes, on any one of the objectives except for the planting of trees, shrubs and plants on public grounds and the promotion of outdoor art and public beautification. Here are the dates of the 2019 OHA District Four meetings and the Convention. If you have any questions please visit the OHA site or contact us.